As mentioned above the neutral auction houses are going to be a thing of the past in Warlords of Draenor. 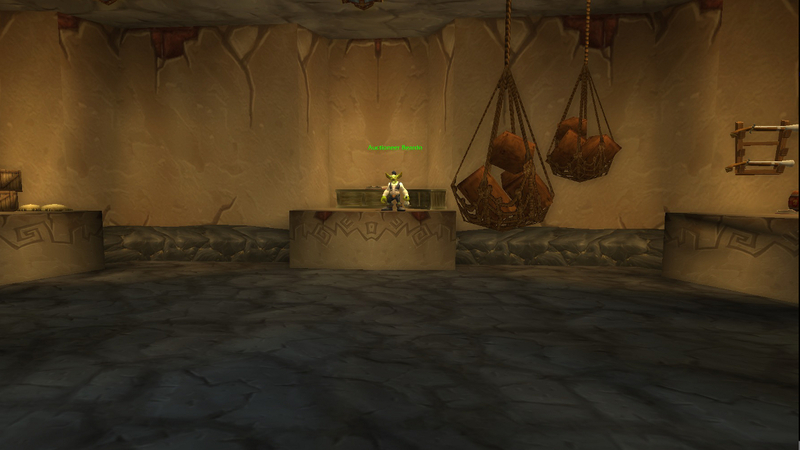 They used to be where Horde and Alliance players could go to trade goods to the opposing faction. However, with the upcoming merging of all auction houses in Warlords, these will ultimately become obsolete. While some may lament the passing of the neutral auction house, most will be glad to see them go. Let's face it, they were overpriced, hard to get to, and the items inside left much to be desired. These places were never crowded and I have wondered on more than a few occasions if anyone actually used them. After a few months, I would be willing to bet that no one will miss their presence at all. Many wonder how this fits into the story line, especially with the Horde and Alliance at such odds. However, this can easily be explained in numerous ways. Perhaps the Goblins have taken over all auction houses, thus the change. We also have to keep in mind that even those who hate each other are usually more than willing to take money from each other. Either way, this merger can easily fit into the storyline while making the auction house experience better for everyone. With neutral auction houses out of the picture, it will become the norm to sell to both Alliance and Horde populations. With a bigger audience to advertise their items to, players are likely to see an increase in their profits. Think of it like this; right now you sell to 100 other players with another 100 that you could not easily sell your goods to. With the merger, you will be able to sell your goods to all 200 potential buyers with the same amount of effort it took to sell to just 100. For no additional effort, players will now be able to sell to a ton more players. Increased audience for your good equals more potential sales. That should set off ca-ching sounds in your head and also give you one more reason why the merger of auction houses totally rocks. Let's face it, compared to the normal auction house, selling things cross faction was overly complicated. You had to fly to a remote location just to post an item. Then hope that another player would show up at that same remote location and want your item. While it worked, this method left a lot to be desired. Merging the auction houses will make sure that posting and selling your items to the opposing faction is easier than ever before. No more secondary trips to auction houses in the middle of no where. 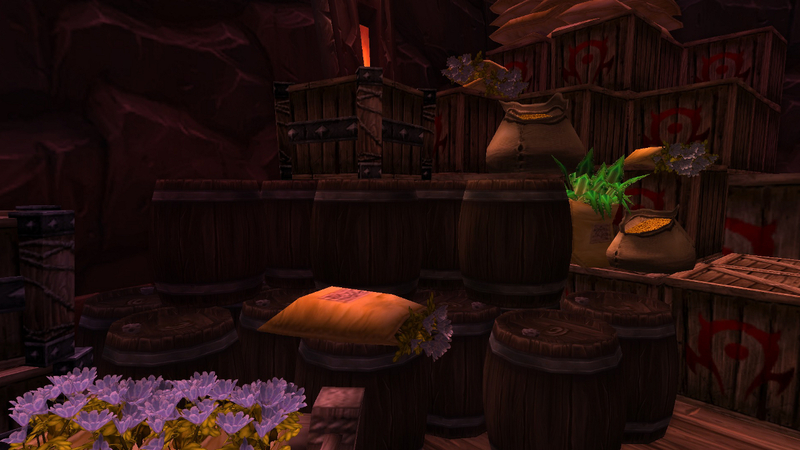 Warlords will provide one stop selling and shopping for every player no matter their faction. The prices in the neutral auction houses were, without a doubt, astronomically high. Alliance players couldn't normally sell their goods to the Horde and the Horde also couldn't sell items to Alliance players unless they choose to make a trip to the neutral auction house. These venues were out of the way and little used., harboring very few items in general. The items that were present in the neutral auction house were ones that usually were unique to one faction or another. Players went here to find them because they had no other option. Due to the fact they could only be sold here, the prices were downright outrageous. What would seem like a simple item went for close to a king's ransom. While prices on faction specific items will probably always be more, the new ease of trade between Horde and Alliance should bring them down significantly. While auction houses are usually filled to the brim with items of every type, the merger will allow for even more item selection. Now instead of items that only one faction can provide, the Auction House will be filled with items from both. This will result in more item selection than ever before. That hard to find herb, schematic, or other item may be just a tad bit easier to obtain. This rings especially true on servers where the factions are badly unbalanced. Players of the minority faction would often have access to less items and have to pay higher prices. No more will this be the case. Also, as mentioned above, items unique to a specific faction should become more commonplace all around. That wraps up our list of the top 5 reasons why the auction house merger will totally rock. Are you excited about the upcoming Warlords merger? What good things do you think it will bring? Share your thoughts with us in the comments section below!